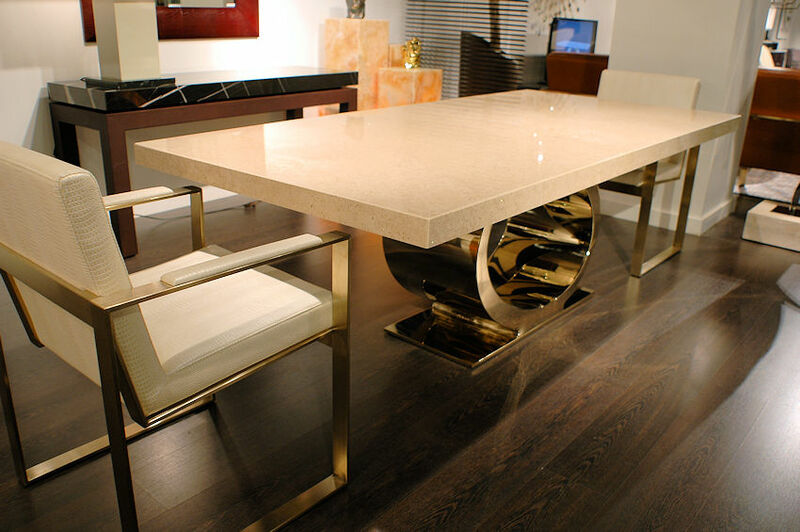 $ 3,995 - "The Eye" #6586/L rectangular dining table with boxed edge top in Tivoli stone w/ gold crystals and blond brass base. Shown with #0546/PB dining chairs in Emb. Crocco Pearl leather and satin brass frame - $ 595 ea. Custom made in Italy. 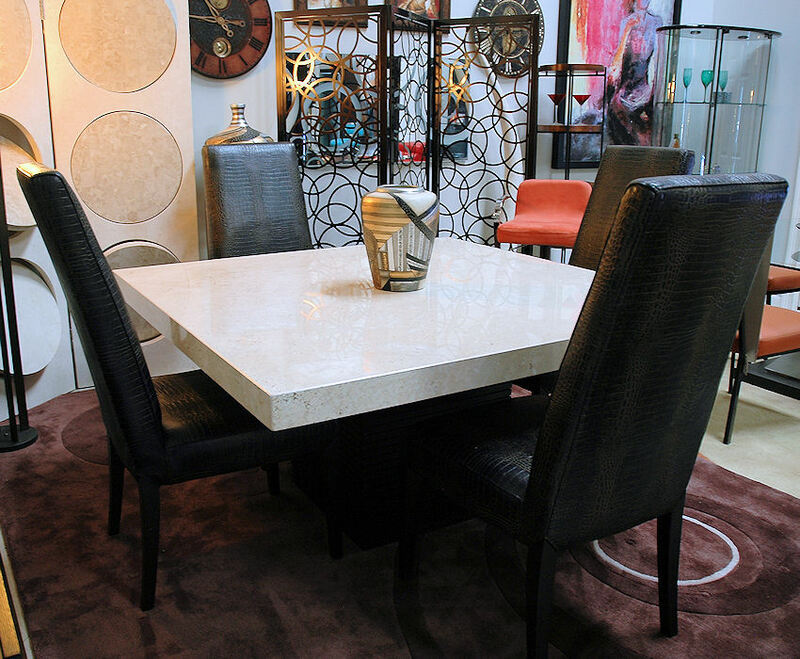 The table top can be ordered in any stone. 3 - 4 months for delivery. 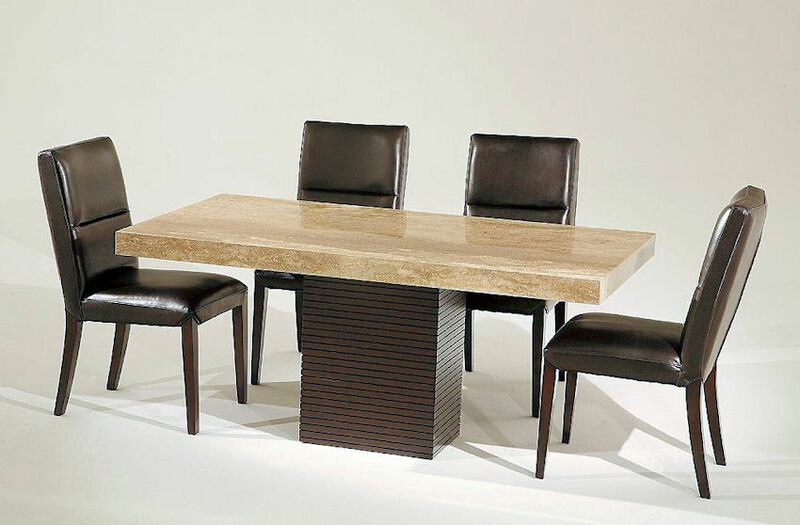 $ 3,650 - #8046/SQ square dining table w/ top in Tivoli stone with gold Swarovski crystals & Wenge wood base. 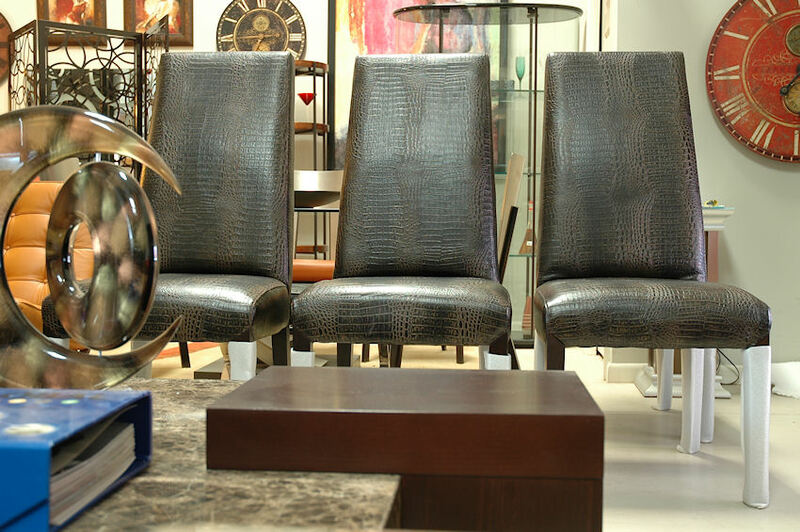 Dimensions: 59" x 59" x 29"H.
Shown with #0607/S Italian leather high back chairs $ 375 ea. Dimensions: 59" x 59" x 29"H. The table can be ordered in any stone and different sizes. 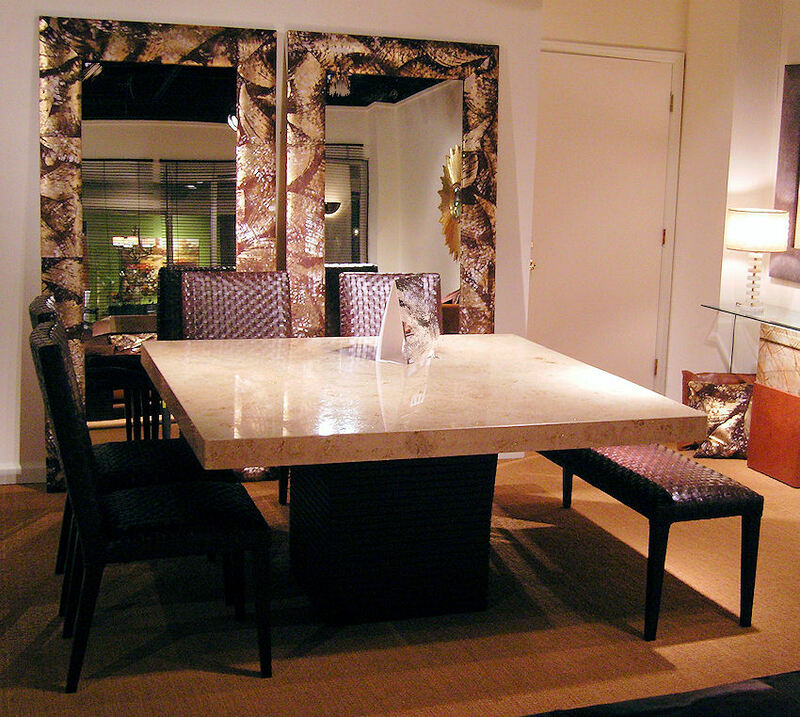 $ 2,550 - #8046/P rectangular dining table w/ top in Siena stone with gold Swarovski crystals & Wenge wood base. Dimensions" 67" x 35" x 29"H. Available in different sizes. Made in Italy. $ 375 ea. - #0607/S Dining high back chairs in #137 Emb. Brown Crocodile Italian leather category 1.